nd Builder’s® Bar, a great-tasting protein bar. Focused on sports nutrition and snacks for adventure, the family and employee-owned company is committed to sustaining its people, brands, business, community and planet. For more information on Clif Bar & Company, please visit www.clifbar.co.uk, check out our Facebook page at Facebook.com/ClifBar and follow us on Twitter @ClifBar. 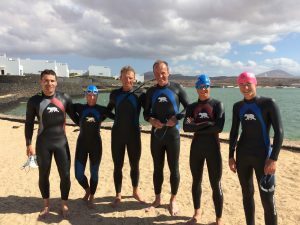 Snugg is the market leader in individually tailored triathlon wetsuits. Each Snugg suit is tailor made to your specific body shape. There unique tailoring service coupled with Snuggs exclusive Buoyancy Control System ensures your wetsuit perfectly enhances your individual swimming ability. Bonza Bike Box is the newest and latest bike box travel case to hit the UK. With the growth in the cycling and triathlon market place, with increased demand and limited access to supply, the team at Bonza Bike Box have the answer. Perfect for holidays, training camps, commuting to an event or competition. Bonza Bike Box know how to keep your bike safe no matter what the journey. Replacing the sodium you lose in your sweat is crucial to maintaining your performance. Precision Hydration offer a range of electrolyte supplements in different strengths to match how you sweat. I’ve been using PH for years and it always made a massive difference to my performance, especially in Kona. Take PH’s free Triathlon Sweat Test to get a personalised hydration plan that you can then refine in training and get in touch with me for a special Triliving discount code if you want to pick some up. RxSport is your one stop shop for all your eyewear needs. They specialise in prescription eyewear and can provide prescription solutions for Oakley, Rudy Project and Bolle to name a few. They stock a wide range of brands and styles suitable for both sport and lifestyle.